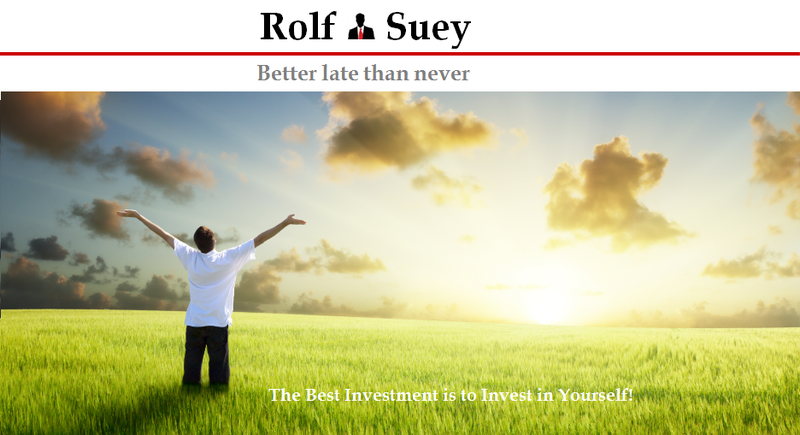 Rolf Suey - Better Late Than Never: Differences between Happiness and Joy - Do you know? Differences between Happiness and Joy - Do you know? In contemporary society, many will think that the above statement is so true. Is it really true? Everyone wants to be happy. We make chasing this elusive ideal of happiness a lifelong pursuit. We work hard to earn, and after we earn, we either spent it on ourselves or on others. We collect things and constantly search for new experiences to satisfy our desires. But happiness depends on circumstances. A child can be happy when he or she has a new toy. But what happens when toys rust or the toy become old and not longer satisfies the child? The child is always looking for something new to satisfy him or herself. You can be happy during the moment when you are partying, eating and drinking excessive alcohol. However the next day, you may have a hangover, or stomach problems. And it may appear that you have found your Mr./Mrs. Right by outward appearance, only for time to let you discover how the inward self is the key for a long-term joyful relationship. Then there are things beyond your control that makes you really unhappy. You can be the most honest and person of integrity and dignity, but when things beyond your control take place, you will still feel extremely unhappy. For instance, health deteriorates, love ones die, money lost, and party is over? Often happiness flees and despair sets in. Therefore happiness is somewhat temporary and based on circumstances. It is like something that requires self-effort, self-will and constant self-seeking desires each time and again to attain. On our lips we always claim we “will be happy” or “as long as we are happy” can liao, yet how many realize that “Happiness” is something not permanent. In contrast to happiness stands joy. Running deeper and stronger, joy is the quiet, confident assurance of love and work in our lives by a supernatural force. Joy is the abundance of love, care and comfort and it does not depend on what happens in this world. It is something inward. It is permanent and eternal expresses through our heart. A heart that is right! It is liken to be a gift to us. In contrast the so-called “happiness” we are chasing for, requires the constantly search new things or experiences to fulfill our desires, intellectual or emotions. So how to have joy? I humbly lay down the below points to ponder. The need for love overflowing more and more and that we keep growing in knowledge and understanding of the truth! The truth that is circumcised in our heart and display in works and in spirit to people around us. And not just by putting on the lips or just going to a place with brick and mortar. Have a righteous character that lives pure and blameless not just for the sake of yourself or your family, but also to neighbors and strangers. And not just saying that I abide by the law, do no harm to others that I am great. Or if did we only realise that good education grades is so important that we forget about character building in a person? Many think to break the law is a big sin. But how many of us realize that a bigger unwritten sin - the love of self and pride within us, which leads to all sorts of problem in today’s world. Do not be selfish, do not try to impress, be humble, thinking of others as better than you. Do not look out only for your own interests, but take an interest in others too. Do not have selfish ambition, insincerity and have false motives. Agree wholeheartedly with each other, loving one another, and working together with one mind and purpose. Be united in body, soul and spirit. Do everything without complaining and arguing, so that no one can criticize you. Live clean and innocent, yet wise and knowledgeable, shining like bright lights in world full of crooked and ambitiously wicked people. With the gifts of wisdom and knowledge and ability to discern the good from the evil, you will be able to see into the future and be prudent. Do not copy the behavior of this world and see things only the norm or public can see to reap temporary reward by being selfish or wicked. Instead be kind and see the light into the future for you will receive thirty, sixty or hundreds folds in due time to come. Be patient. Do not be intimidated in any way by your enemies. Do not fret because of the evildoers, nor be envious of the reward of the wicked. Gain confidence and bodily speaks the truth without fear. Sowed goodness, be patience, and you will reap and receiving multi-folds of wages, and gather fruits for eternal life. Laziness is a sin. Do not just hear the good news. Learn and understand and do and declare good works in glory and let it multiply so that others can also enjoy the fruits. Give thanks with a grateful heart and learn to be contented with whatever you have. Beware of those who teach others but do not teach themselves. They teach you not to steal, but they steal from you secretly. They easily deceived you because you open door for them, due to your own greediness and desires of worldly pleasures. These are the false teachers who also perform miracles for you to be rich and successful and yet blinded with the worldly pleasures. So much so that it is just the beginning of the sorrows that is going to steal, kill, divide and destroy you and your family eventually. Do not hold too high a confidence in human shepherds to take charge of your life or even to take charge of your nation. They are unable to do it, no matter how much promises they lay down to you on their lips. The problems of this world is too huge for a president, for a government to tackle. Therefore filled our hearts with the love peace and joy, so that we shower it to others and help people in need. Be spiritually wealthy with outpouring compassion to others seeking righteousness in life, rather than materialistically wealth with self-seeking indulgence. Live in spirit and walk in spirit. Put on the breastplate of faith and helmet of hope in life. We will be given strength to perform miracles beyond our wildest imagination. Do not worry too much about your life. Do not worry also about what you eat or what you will drink, nor about the luxurious house you stay, nor how you will look or wear outwardly, nor what job you have, nor what stocks you own, nor the eagerness of achieving financial freedom. The seeking of one freedom (financial) leads to the enslavement of another without you yourself knowing. For tomorrow will worry about its own things as we live today with righteousness, love and peace. All things will then taken care by itself supernaturally with overflowing joy tomorrow and for eternal. Thanks CW, wish you and family a Merry Christmas and a Happy New Year ahead. And children. They bring us moments of great joy that can by far overshadow all the though times. The primary purpose in life is to en-joy it, right? Apologies for the late reply. I have been busy lately. Always enjoyed your comments and your blog post. Nod nod on your two points and yes, we need to en-joy! Not worrying is the hardest part, but great advice.